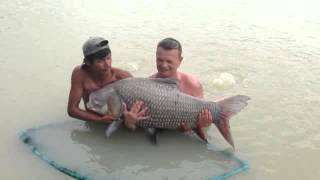 What are the fishing/hunting seasons in Surat thani, Thailand? Deposits: Can be paid with a bank transfer to UK, USA, or Thailand Bank Accounts. Details on request. The deposit of 25% of the total amount for the stay at TopCats or any trip arranged by Topcats is to be paid to TopCats .Co.Th WITHIN 7 DAYS OF THE CONFIRMATION, the payment must be made the same day or the day after booking for arrivals within 7 days from the same confirmation, otherwise the booking will be automatically cancelled. Balance: The balance must be paid directly on site to TopCats Co .Ltd. Prices have been calculated in accordance with the legal provisions and taxes currently in force. Any tax variations will therefore be charged subsequently. Change of Holiday Date: Clients who wish to re-arrange original dates booked maybe subjected to extra costs depending on seasonal prices or special offers. Please Note: Customers will be charged 5% for VISA or Mastercard.